According to emails sent to early adopters, Essential will be shipping their phones within seven days. Unfortunately, those first shipments will only include the black version (Black Moon) of the Essential Phone. The white version (Pure White) will be a "couple of weeks away." Andy Rubin, co-founder of Android, made waves earlier this year when he unveiled the $700 Essential Phone. According to Rubin himself, the purpose of creating the Essential Phone was to address some of the problems people have with smartphones such as getting rid of "planned obsolescence", having an open ecosystem, and premium build quality without the premium price (although $700 is still a lot for most folks). However, Essential has had a few missteps since the official unveiling of the Essential Phone back in May. First, the company announced on May 30 it would ship within 30 days, but missed its own shipping date. Essential would go on to inform customers in late July promising it would arrive "in a few weeks." Fortunately, there has been some good news. Recently, Essential was able to raise $300 million in new funding from a variety of investors including Amazon and Chinese Internet company Tencent. Though Essential did not disclose the total valuation, The Wall Street Journal reports it to be around $1 billion. The main problem is that Essential is launching a high end smartphone in a sea of high end smartphones. Google is launching the next iteration of the Pixel soon, Samsung is set to unveil the Galaxy Note 8 (in addition to the existing S8/S8+), and Apple seems to be launching the best iPhone to date based on rumors. Furthermore, there's a litany of smartphones that have been pretty good this year from the LG G6 (and upcoming V30), HTC U11, and OnePlus 5. The OnePlus 5 and G6 in particular are excellent options since the prices are lower. 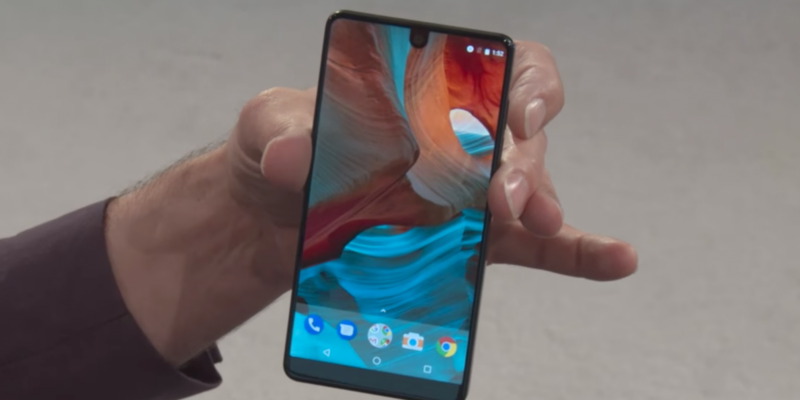 Further complicating things somewhat is the fact that the Essential Phone is launching exclusively on Sprint in the United States. Technically, you can still buy it unlocked from Best Buy or Amazon but if you're the type who loves their installment plans with AT&T, Verizon, or T-Mobile, you're out of luck. Still, competition is still competition and if anybody could propel Essential to the top of the Android smartphone heap its the co-founder of Android himself. The Essential Phone's stock version of Android should lend itself to timely updates and the sheer simplicity of the device coupled with killer specs gives fans of stock Android (and perhaps even iPhone owners) an alternative to the Pixel.